The Ukrainian military had to change the itinerary and flight plan of the delegation within hours. 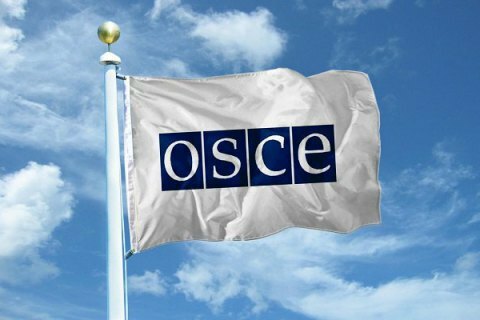 Russia's representative at the OSCE, Aleksandr Lukashevich, attempted to disrupt a visit by the EU Political and Security Committee to Ukraine by claiming that Ukraine had been plotting an act of provocation, in particular to destroy the helicopter with the foreign delegation in order to pin it on the separatist republics in Donbas, Ukraine's envoy to the EU, Mykola Tochytskyy, said at a conference in Kyiv. "The Russian permanent representative called EU offices to tell them that he had information about Ukrainians reportedly plotting a sort of a terrorist act – to shoot down the helicopter carrying ambassadors and blame it on the Luhansk and Donetsk people's republics. We had to spend almost a day to make this visit happen," Tochytskyy said. In particular, the Ukrainian military had to change the itinerary and flight plan of the delegation within three to four hours. The delegation consisted of 56 members, including 28 EU ambassadors, representatives of the EU Secretariat and other offices cooperating with Ukraine. The visit took place in mid-June 2018.